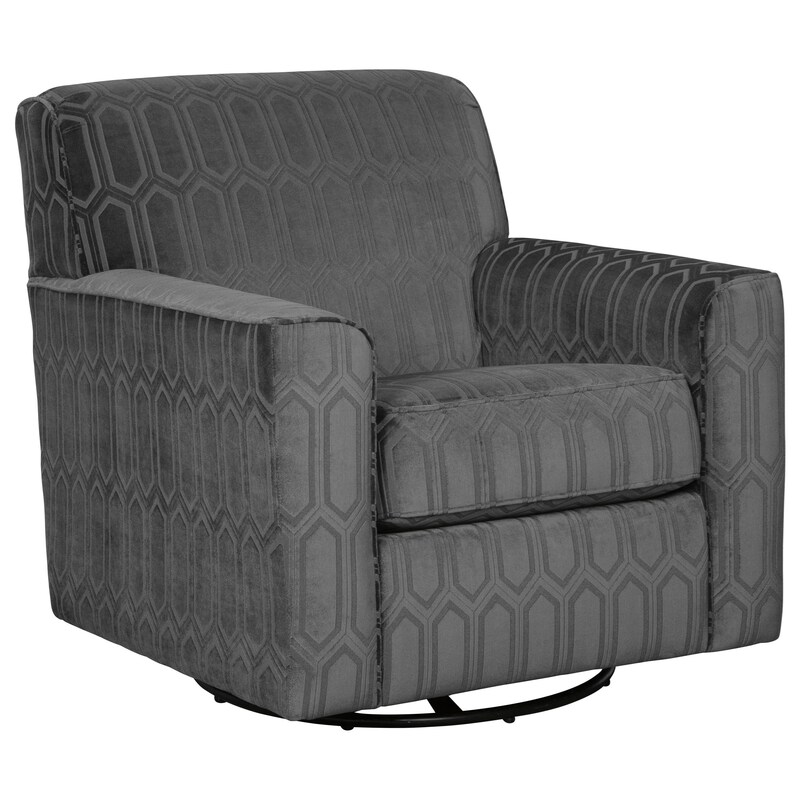 Upgrade your living space with this contemporary accent chair, which includes a 360 degree base, and a stunning gray, geometric-patterned upholstery with raised texturing. The Zarina Contemporary Swivel Accent Chair by Signature Design by Ashley at Michael's Furniture Warehouse in the San Fernando & Los Angeles area. Product availability may vary. Contact us for the most current availability on this product. The Zarina collection is a great option if you are looking for Contemporary furniture in the San Fernando & Los Angeles area. Browse other items in the Zarina collection from Michael's Furniture Warehouse in the San Fernando & Los Angeles area.